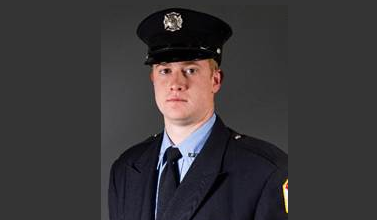 The injured Clinton Firefighter remains hospitalized in critical condition, but is slowly improving. Firefighter Adam Cain’s medical condition remains critical since that January 5 fire and explosion at Clinton’s Archer Daniels Midland plant, that killed Clinton Fire Lieutenant Eric Hosette in the Line of Duty. FF Cain’s ventilator was removed yesterday, and Cain, who is hospitalized at the University of Iowa Hospitals and Clinics in Iowa City, is breathing on his own. He is scheduled for surgery on one of his broken arms today. The incident remains under investigation by the Iowa Occupational Safety and Health Administration and the National Institute of Occupational Safety and Health.